Further expanding on the fun sound signature of the Jomo 2, the Jomo 3 features an additional bass driver for added bass enhancement in both quantity and extension. 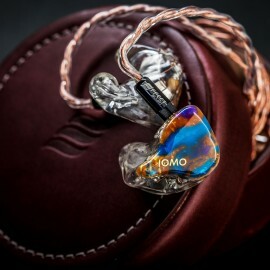 The Jomo 3 offers a v-shaped sound signature that is smooth that keeps your feet tapping to the music with its added bass kicks and sparkly treble. Turnaround TimeBuild turnaround time: 4 to 7 weeksShipping time: 1 weekTotal turnaround time: 5 to 8 weeksFurther expanding on the fun sound signature of the Jomo 2, the Jomo 3 features an additi.. Introducing our first hybrid IEM design. The brand new Mélange series. Deux packed with one balanced armature driver and one dynamic driver. A two ways Cross Sync Uniphase crossover design powered by Airflow control unit with interchangeable filter for user customizable sound signature. Elevated bass and mid range for some fun and musical experience. Relaxed high frequency suitable to long hours listening. Duo ways CSU crossover network. Effect Audio Ares II UPOCC cable. or ACU, allows user to control the sound of the dynamic driver via interchangeable filters. The ACU controls the amount of air in the rear chamber of the Dynamic driver. Dynamic driver in a hybrid IEM design works in the same way as it's working in a HIFI speaker. The internal structure of the HIF speaker is part of the acoustic design as the total volume of air in the speaker chamber affects the sound of the dynamic driver greatly. In an IEM enjoyment, the shell size vary depends on each individual users' ear geometry therefore the total volume of the air in the shell changes from one and another. If we just dump the dynamic driver in the shell, like what other brands are doing, we will not be able to make sure that each and every custom IEMs will sound the same. 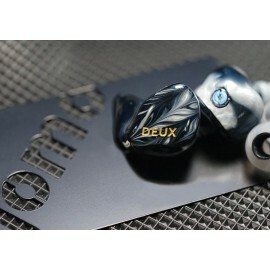 The universal demo shell is always much smaller than the actual custom, so there will always be a great difference between the demo and the actual custom IEM. To completely eliminate this problem once for all, we calculated, simulated and came out with an optimized, fixed volume for the rear chamber of the dynamic driver that we know and sure that will always sound the same for each and every pair of the hybrid IEMs*. With the ACU, what you hear from the universal will be what you hear from your custom*. By introducing the ACU interchangeable filters, from unable to predict how the IEM will sound (without ACU module) to have absolute certainty of very pair will sound the same, we will also have the power to CONTOL the sound. By controlling the amount of air flowing into the optimized rear chamber of the dynamic driver so that we can control the sound signature. We came out with 4 different filters (Balanced, Musical, Energetic and Impact. Balanced has the least amount of bass and Impact is highest) that will give 4 different level of bass response from mildly v shaped to +15dB of bass. No two audiophiles will ever agree on the amount of bass they want. With the ACU system, users will have the capability to choose how they hear their music. 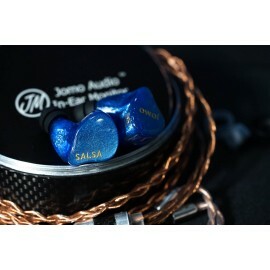 Just like what we did with the Flamenco, we allow user to customize their IEM by themselves. or CSU,is the fundamental method and techniques of IEM sound design. Balanced armature driver is highly inductive. Traditional passive electronics filters in the multi-driver crossover system introduces phase shift at crossover point by 90 degrees to 180 degrees. As the analogy signal coming from the DAC to the IEM is an AC signal, out of phase electronic signals will produce out of face soundwaves from the drivers. Converting the out-of-phase issue from electronic (electronic signal) domain into analog (soundwaves) domain. It results multiple drivers cancelling each other at crossover point and cause a big dip on the frequency response together with a dirty Fast-Fourier Transform analysis. CSU utilizes both electronics filtering design and acoustic path design to create crossover system including passive electronic low pass filter, band pass filter and high pass filters. And the acoustic filters help to eliminate unwanted frequency from the driver and smooth the frequency response. By adjusting the placement of each driver, soundwave phase cancellation at crossover point can be eliminated and all drivers will produce synchronized soundwaves at the same time. Resulting the drivers to produce wider frequency range improve sound pressure level at super high frequency range. And for the users’ experience, they will be able to hear more detail, full-bodied and engaging sound with a nature sound stage. In summary, CSU conjugating frequency domain and time domain into one synchronized system with phase aligned multi-driver IEM crossover system. 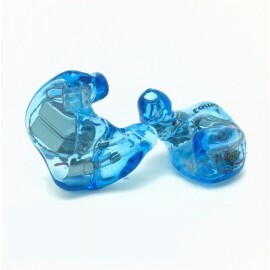 Delivering an unparalleled coherent and natural sounding IEM design. * Hearing difference caused by individual ear canal geometry, hearing loss, different types of ear tips, run-in time is not discussed in this case. Product Details Introducing our first hybrid IEM design. The brand new Mélange series. Deux packed with one balanced armature driver and one dynamic driver. A two ways Cros..
Flamenco is Jomo Audio's flagship launched in 2017. The Flamenco features not one, but 2 analog toggle switches located in the cymba area of the custom IEM (if your ears are large enough; otherwise the switches will be moved to the top of cymba area) which allows users to toggle bass boost and treble boost. It also features 3 titanium metal bores that allows further extension of the treble and bass. Comes by default with Effect Audio Ares II, PWaudio No.5 or Han Sound Audio Zen cable. Flamenco is Jomo Audio's flagship launched in 2017. 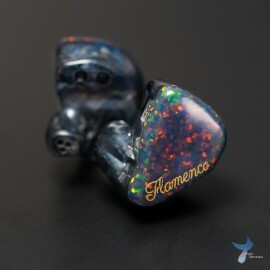 The Flamenco features not one, but 2 analog toggle switches located in the cymba area of the custom IEM (if your ears are large enough; otherwi..
No crossover, no phase cancellation, just powerful and coherent pure sound. Limited by the physical size of driver, Balanced Armature technology were believed that cannot produce full spectrum of sound so that multiple drivers with electronics passive crossover and acoustic damping has to be used to create something with decent bass, smooth mid range and sharp high frequencies. We studied existing single BA driver IEMs in the market and the result was not very pleasant. We kept challenging ourselves to see what we can deliver by using the minimum number of driver and how we can make it better. Working closely with well-known Balanced Armature technology supplier, we were not satisfied with what they can provide off the shelf. We went one step further, to design new Balanced Armature driver with our own specification. Brainstorm and discussion meeting with the engineers, samples were made and tested over and over again. Multiple rounds of pre-production demo and peer critique with industry insiders. Haka is the result and answer of our hardworking. Free Solid Color shell color. Artwork limited to none transparent color(s) only. No crossover, no phase cancellation, just powerful and coherent pure sound. 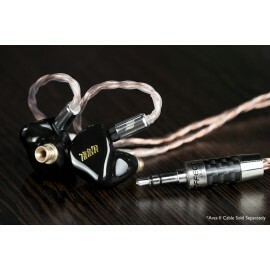 Limited by the physical size of driver, Balanced Armature technology were believed that cannot produce full spectr..
Jazz packed with two balanced armature driver with a brand new sound design. One XL bass driver and one mid/high driver with tunded vent deliver the most natural and relaxed sound. Suitable for audiophile and band members who doesn't want to burn a hole in the pocket. 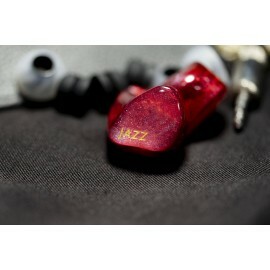 Product Details Jazz packed with two balanced armature driver with a brand new sound design. One XL bass driver and one mid/high driver with tunded vent deliver the most natural and relaxe..
Quatre come with three balanced armature driver and one dynamic driver. A four ways cross over design also powered by CSU network and ACU interchangeable filter system. Mildly v shaped sound signature when using Balanced filter (Black color). 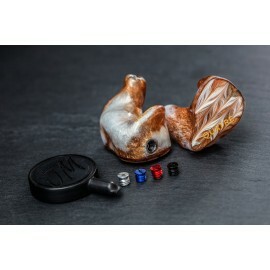 Organic bass, smooth vocal and airy sparkly highs under one shell of IEM. Four ways CSU crossover network. Product Details Quatre come with three balanced armature driver and one dynamic driver. A four ways cross over design also powered by CSU network and ACU interchangeable filte.. The Jomo Reference is the first product from Jomo's new line up, known as the 'Reference' series. The Jomo6R has a flat frequency response that maximises coherency and detail retrieval, designed specially for reference monitoring and critical listening. Turnaround TimeBuild turnaround time: 4 to 7 weeksShipping time: 1 weekTotal turnaround time: 5 to 8 weeksThe Jomo Reference is the first product from Jomo's new line up, known as the 'Reference'..
Salsa design with vocal monitoring in mind. Offering the user and experience of near field monitoring in the studio. Packed with one XL bass driver, two vented drivers for lower mid range and upper mid range and one fine tuned tweeter, all conjugated by the CSU crossover network delivering a vocal emphasised sound signature. orCSU,is the fundamental method and techniques of IEM sound design. Balanced armature driver is highly inductive. Traditional passive electronics filters in the multi-driver crossover system introduces phase shift at crossover point by 90 degree to 180 degree. It results multiple drivers cancelling each other at crossover point and cause a big dip on the frequency response together with a dirty Fast-Fourier Transform analysis. CSU utilizes both electronics filtering design and acoustic path design. Conjugating frequency domain and time domain into one synchronized system with phase aligned multi-driver IEM crossover system. Delivering an unparalleled coherent and natural sounding IEM design. Product Details Salsa design with vocal monitoring in mind. Offering the user and experience of near field monitoring in the studio. Packed with one XL bass driver, two vented drivers for l.. The Samba marks an evolution in Jomo Audio's product offering. As part of the new Pro-audio series, the Samba is designed from the ground up with a new design and tuning philosophy. 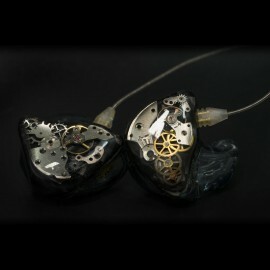 Being the second IEM designed in collaboration with Effect Audio, the Samba features Effect Audio's Ares II wiring inside the IEMs, allowing better signal transmission to the drivers. With 8 balanced armature drivers, the Samba offers a very musical yet resolving sound that will keep you tapping or even dancing to the music! Turnaround TimeBuild turnaround time: 4 to 7 weeksShipping time: 1 weekTotal turnaround time: 5 to 8 weeksThe Samba marks an evolution in Jomo Audio's product offering. As part of the new Pro-aud..